Modular deployment backpack for communications systems up to a maximum size of 31 cm x 26 cm x 9 cm. 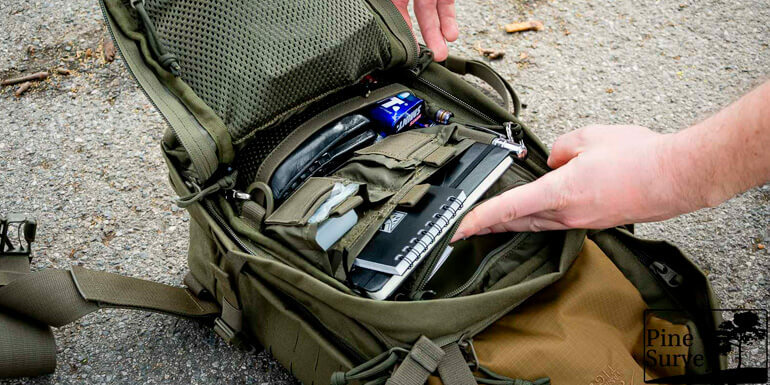 The Modular Radio Pack has two exterior pouches as well as a front flap with zippered pocket. The removable hip belt in laser-cut design can also be used separately as a Warrior Belt. The radio holder can be adjusted for height and width, zippered openings on the top provide easy acces. The shoulder straps have cable guides and ports. 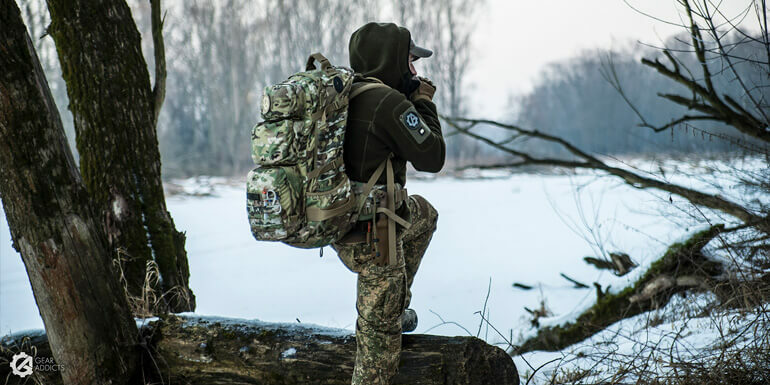 The backpack is also equipped with a loop attachment system for accessories as well as a battery compartment. Includes detachable rain cover.